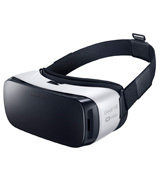 This virtual reality headset features a sharpening mode reducing the blurring of motion. 24p True Cinema function allows for watching 24p movies. Moreover, you can switch between 5 preset audio modes. The main unit has a wired connection to the processor unit. 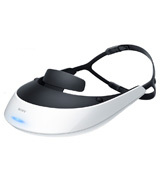 Sony VR headset is the perfect option for those wishing to enjoy high-quality Full HD games and movies in 2D and 3D without any blurring. The headset features an automatic color temperature adjustment so that users can watch movies or play games for long hours with incredibly vivid colors and natural surround sound. There is a wide-screen mode for viewing 360 degrees panoramic photos, accessing premium games and apps from Oculus VR store where you can purchase and watch a multitude of Hollywood movies and TV-shows in Oculus cinema. It is compatible exclusively with Samsung phones. 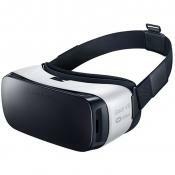 This headset is the best virtual entertainment device for owners of the flagship Samsung Galaxy S and Note smartphones. It is the lightest headset featuring extended ventilation that prevents misting of the lenses. 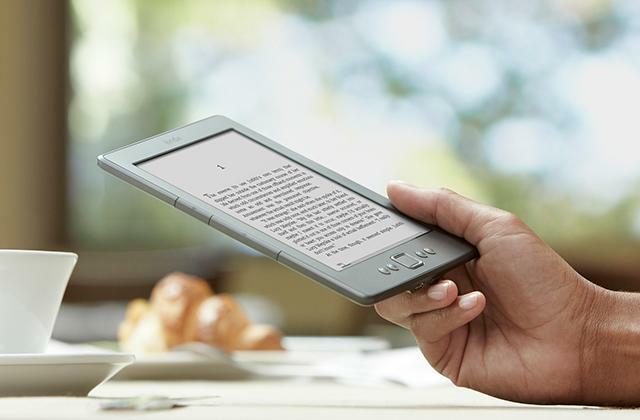 The gadget has an intuitive eyesight control and a possibility to create an individual digital VR library. You can not adjust the distance between the centers of 2 lenses. The top-notch headset featuring intuitively straightforward controls and the unique patented Tap-and-Stare technology. 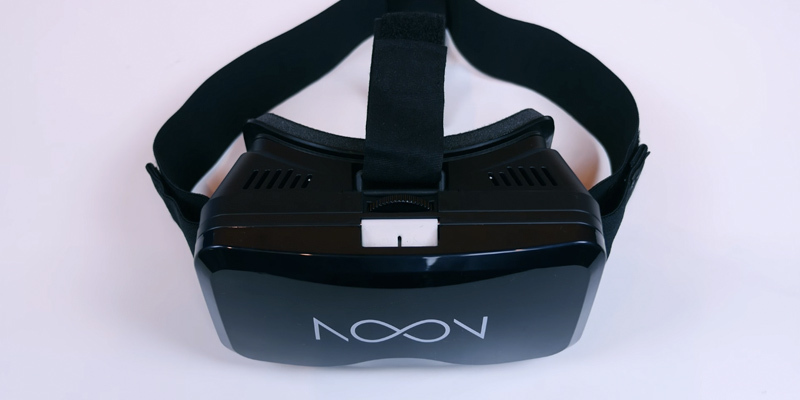 You can download a NOON VR app for watching and sharing 360-degree photos and movies. Smartphone display 4.7" - 5.7"
The built-in headphones deliver a great sound experience for all the headset applications. 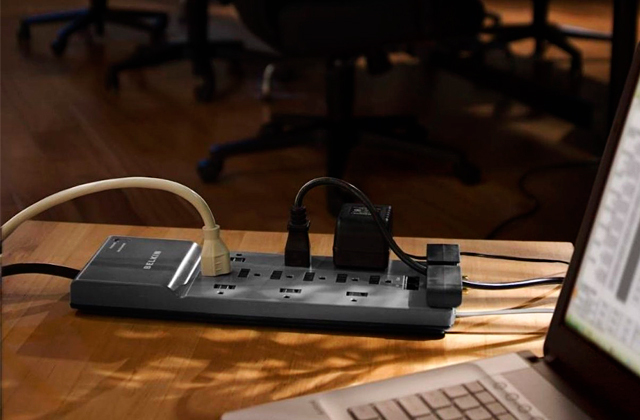 In addition, you will not need cables to use them owing to the wireless connection supported. If you look for an affordable VR headset, which can be easily paired with your smartphone, look no further than this model. The Pansonite 007 is a versatile VR solution with an ergonomic design and comfortable controls. Smartphone display 4.7" - 6"
This unit offers the focal distance (FD) adjustment within the range of 55 mm - 75 mm. It is made of ABS material that ensures a satisfactory durability. 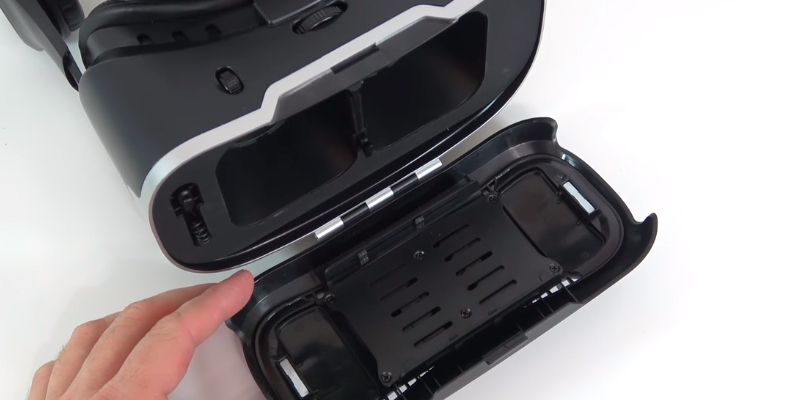 The cover allows easy installation and removal of the smartphone. Sometimes the moving objects are blurred. 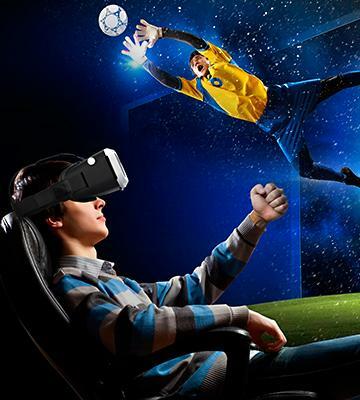 This VR headset still allows submerging into the virtual world without any discomfort. Despite a modest price, it features the option of manual FD and video sharpness adjustment, ensuring the high picture quality. Smartphone display 4.0" - 6.0"
Sony HMZ-T2 viewer provides the picture quality compliant with the highest standards. 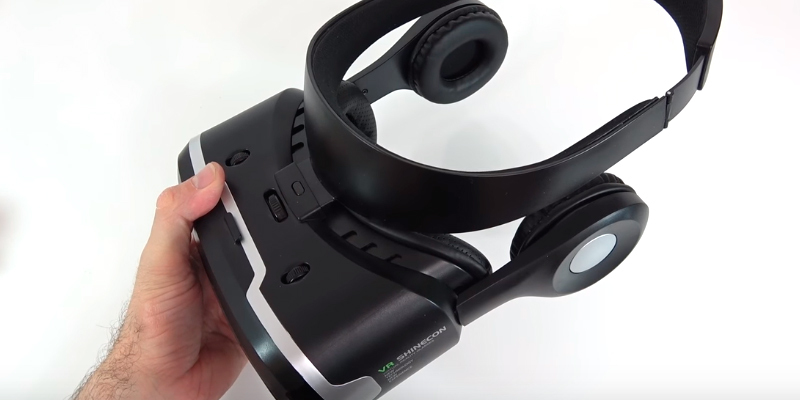 Firstly, in contrast to other devices in our review, this headset has the built-in OLED displays ensuring smooth and sharp 2D and 3D video signals for each eye individually, free from blurring or duplication. Secondly, the display resolution of 1280x720 pixels provides amazing visual effects and picture quality. 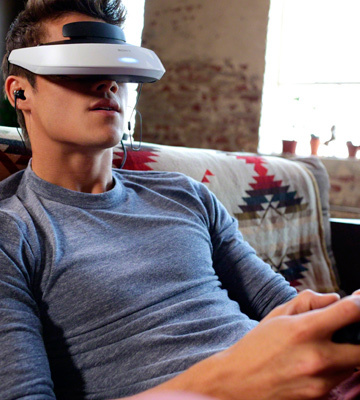 These features prove that the headset will be a perfect fit for watching movies. The screen boasts the 24-bit RGB color gamut thanks to the 24p True Cinema™ function. 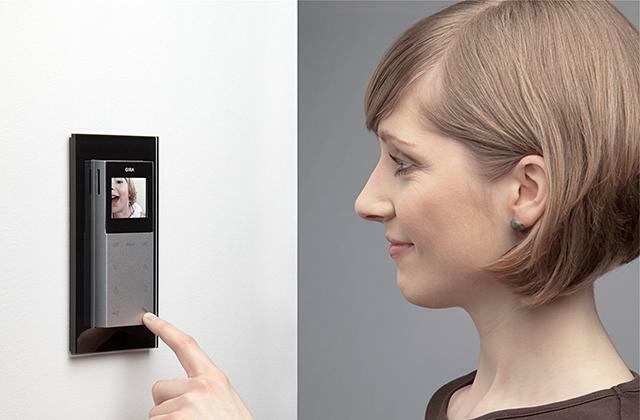 This allows watching videos at a frequency of 24 frames, like on a large-screen display. In addition, the device features virtual headphones with 5.1 Dolby surround sound that helps you fully immerse into the virtual reality. The harmony equalizer restores the losses of digital audio (caused by compression). 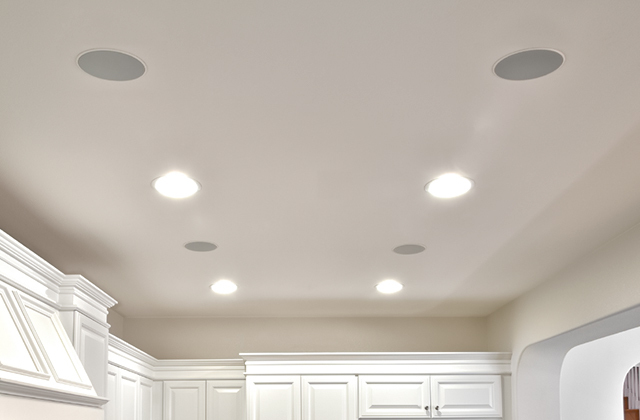 As a result, you get an overwhelmingly sensational sound. In contrast to other devices, you have a choice of several audio templates including the Clear sound, Standard, Cinema, Game, and 2.0-channel - all of them give you unforgettable impressions from movies and video games. We could not miss the fact that you can use your favorite wired or wireless headphones instead of built-in speakers if you believe that it is the only way to enjoy the sound. 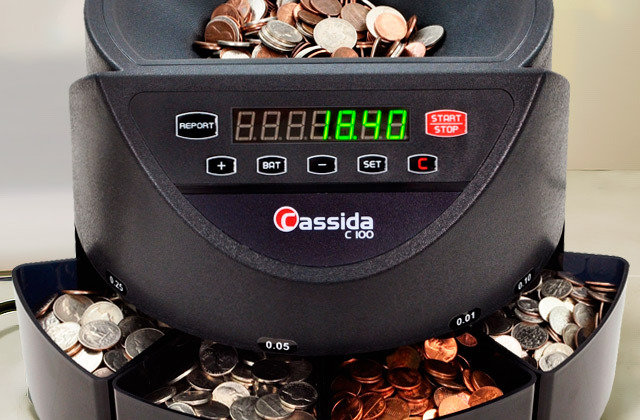 The available controls include the lens adjustment switches, on/off button, menu navigation button, sound control button, and 4-position ring joystick with a central button for easy navigation. As for compatibility with TV-sets, video players, and game-boxes, this device certainly tops most of its counterparts. Millions of video game fans are anxiously looking forward to the beginning of sales of the SONY virtual reality kit planned for October 13, 2016. 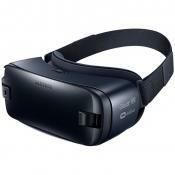 The headset will support the 1080p resolution, feature the 5.7" OLED display, and have the viewing angle of 100°. The estimated price is 399$. 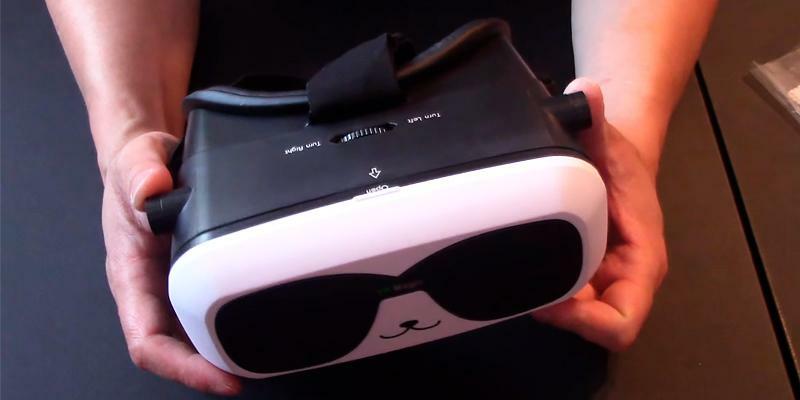 The first information about this VR device was released in September 2013. It was confirmed by the registration of patents by SONY the same year. 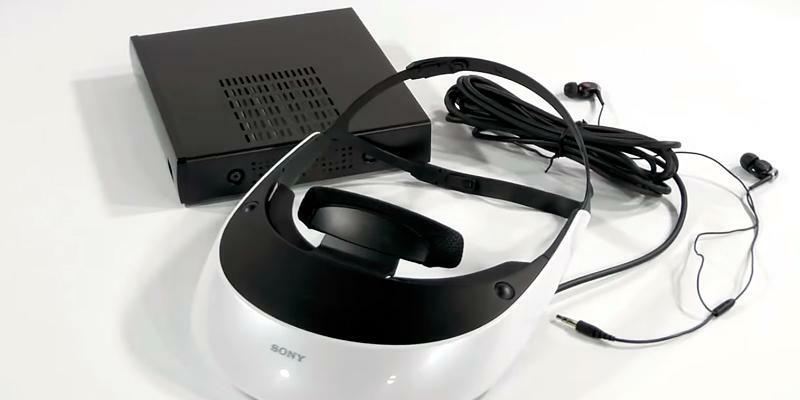 The first presentation of the headset was held by the company on March 18, 2014, at the GDC exhibition and the unit was called Project Morpheus VR. 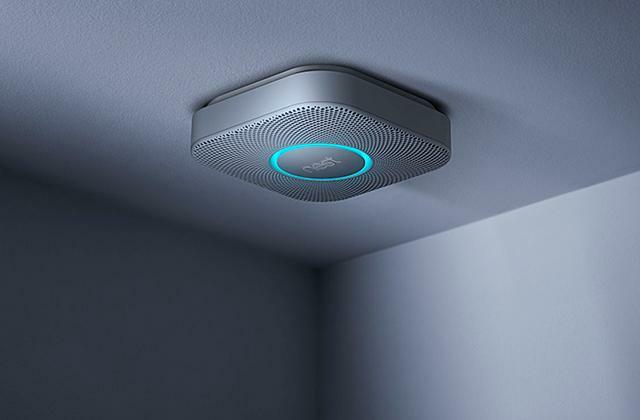 The company's representative specified that the device wasn't a final product but a unit under development. 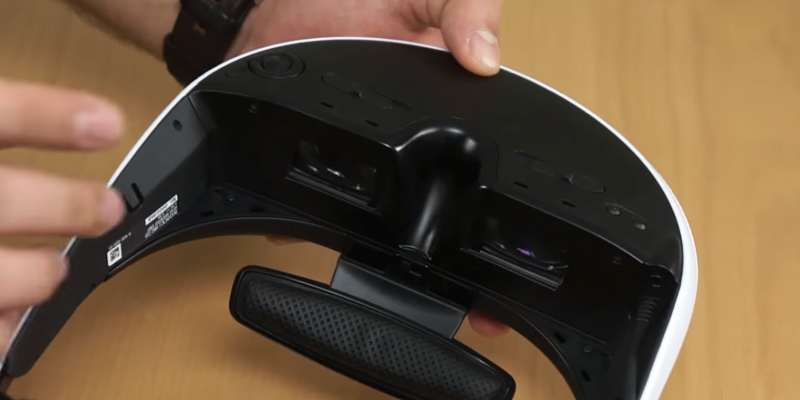 The design began in 2010 and engineers have been constantly improving the VR headset since then. This cutting-edge soon-to-be-released device is expected to alter the world of video games. 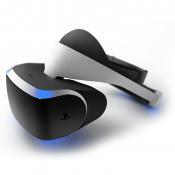 Project Morpheus VR is compatible with PlayStation 4 which has the permanent hardware specs. Thus, it's a lot easier to improve video games, honing the performance of each one to the perfection. Sony engineers are in continuous contact with software developers. Moreover, the company has thought about users' comfort - the accessory will be very convenient and it will cause the minimum effect on eyes. Modern gaming headsets are equipped with mics and feature an outstanding sound quality for your full immersion into the universe of video games. Such devices are compatible with PC, Mac, Steam Link, and PlayStation 4. 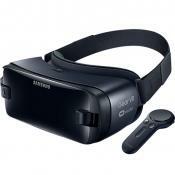 Before you make a choice in favor of this headset you should be aware of the fact that the Samsung Gear VR is compatible exclusively with the Samsung smartphones - Galaxy S7, Galaxy S7 edge, Galaxy Note 5, S6 edge+, S6, and S6 edge. This viewer features the incredibly wide field of view (96 degrees) plus a possibility to view details with a peripheral vision. Users of Samsung headsets get access to amazing additional benefits of diverse applications, games, and movies available at such popular services as Netflix and Vimeo. You can also enjoy the unique feature of a panoramic view, taking you to any nook in the world and providing you with a 360-degree detailed panorama of the place. To say it differently, you can visit the most picturesque places of the universe without leaving your sofa! The audio support is provided by the headphones of the smartphone. Our recommendation is to purchase the most high-quality external earphones for this purpose. The sound quality is of the utmost importance since your satisfaction of the virtual visit to the show of a favorite band or a singer depends on this factor greatly. We would like to positively assess the fast reaction of the device to users’ gestures and head motions because this feature determines your proper orientation in the virtual reality. The high sensitivity is ensured by the built-in units including the gyroscope, accelerometer, and special proximity sensor. Apart from all these technical features, we were amazed by the design and comfort of the headset. The special foam inlay and adjustable straps make it perfectly fitting any head and assure the ultimate comfort for the whole length of its useful life. After the release of the widely known Monument Valley mobile puzzle working with iOS, Android, and Windows Phone, which collected a lot of distinctions and rewards including the Apple Design Award, the ustwo studio continues developing new “addicting” games. 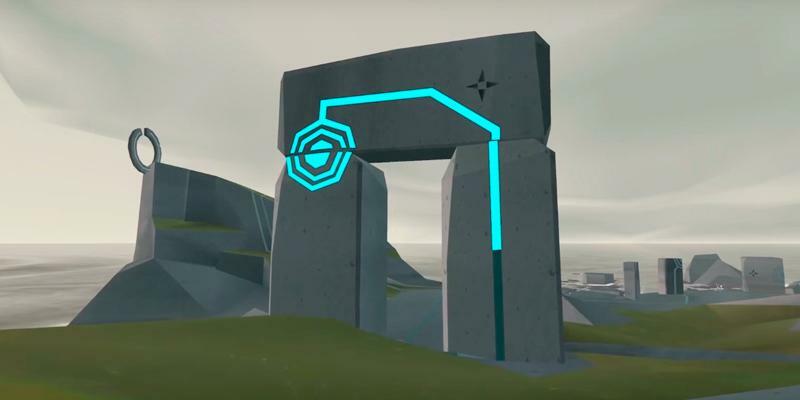 An unexpected new project of ustwo is the game Land’s End available exclusively to users of the Gear VR virtual reality wearable accessory developed by Samsung jointly with Oculus. The game is actually very impressive, particularly for the one built on the smartphone platform. The game can be downloaded from the Oculus Store and installed by anyone. It is something special since the game controls are realized based on the user’s head motions. You move in the virtual world by fixing your view at base points. As soon as you do so, the camera smoothly transfers you to that point. All controls are intuitive and straightforward. Many players have admitted that the video game is really impressive. It is commonly recognized that the virtual games gain ever more popularity all over the world and we believe that we’ll face a massive release of various games and related apps on the market in the near future. Laptop backpacks can be used for carrying and convenient storage not only of your laptop but such gadgets as the Samsung Gear VR headset, for example. 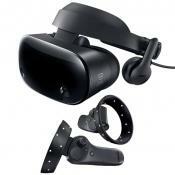 Assessing various benefits of this headset, we have singled out a unique system of controls that is surely one of the best among competitors. Why so? Firstly, the NOON NVRG-01 viewer has no buttons; instead, the navigation is based on the patent-pending Tap-and-Stare technology. The former features a user-friendly tap-responsive interface: you need only to tap at the protective cover for centering the picture; the double tap activates the control menu of the official NOON VR application; all further navigation in the menu and selection of menu items is carried out with your eye movements. You should admit it is rather an unusual and unique approach. 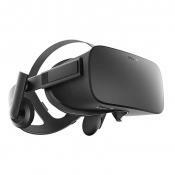 Secondly, a proprietary application for control of a virtual reality headset using the smartphone also represents a substantial advantage of this device. We were satisfied with the performance of the NOON VR app available for downloading and installing on Android and iOS gadgets. This app provides you with the exclusive access to your own VR library. You can choose your favorite movies and download them to your smartphone to watch later anywhere. 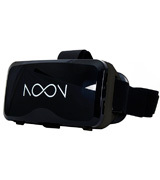 We believe that NOON VR is the perfect technology for watching the VR contents with minimum preparatory efforts and maximum satisfaction. Besides, we have found out that this headset saves 40% more power than its rivals. It is the result of the more complex rendering computations optimized for the smartphones. 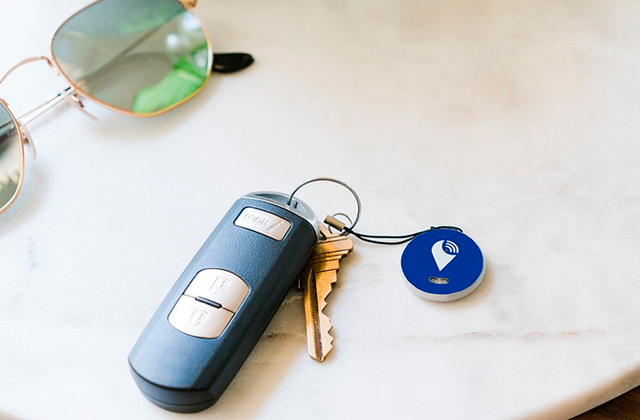 It should be mentioned that the application is activated with a code supplied together with the headset though the code is valid for up to five connected devices only. If you like simplicity, you will surely be interested in the new gadget called SmartVR headset which is the development of the Google Cardboard idea. It was the initiative of the US search engine provider in the sphere of “cheap VR technologies” that inspired dozens of Chinese developers to create hundreds of cardboard clones of that mobile VR gadget to the market. However, the Dodocase company found its own way. 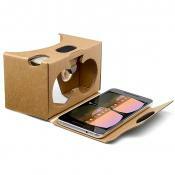 It decided to develop no “cardboard glasses” clone; instead, they designed a unique pocket-size device. 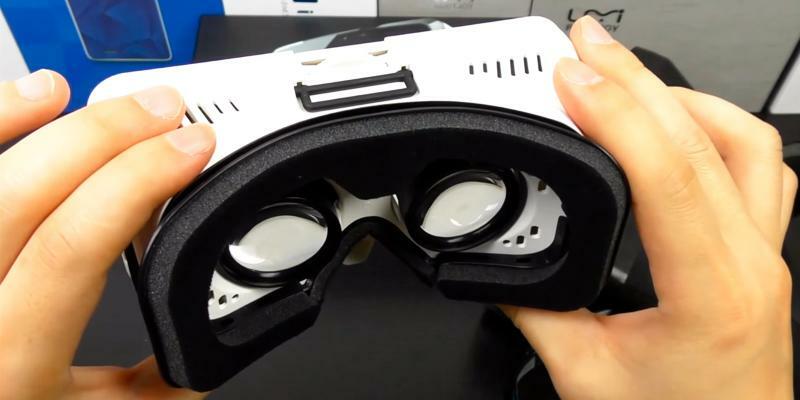 The dimensions of SmartVR can be compared with iPhone5, for example. But the headset is demountable and almost any modern smartphone will fit there. 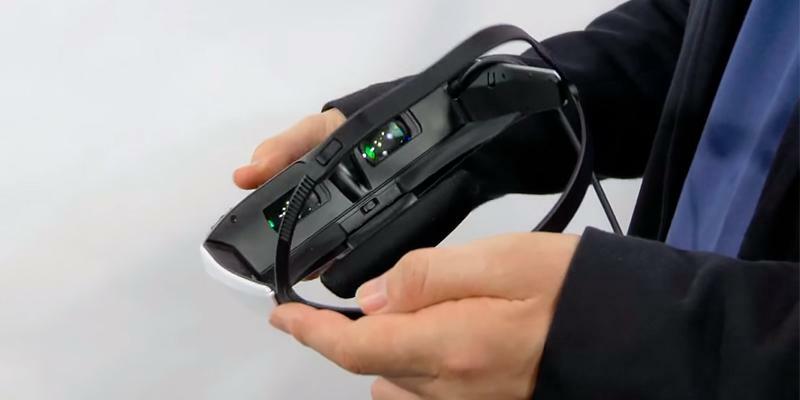 As a result, this gadget allows immersing into the virtual reality with the same presence effect as the cardboard competitor from Google though the body of SmartVR is made of flexible plastics. The lucky users, who have tried the viewer, say its lenses are much better than those of the Google device. In conclusion, we should remind you that the development of virtual reality devices is currently the most accelerating trend, so such gadgets will be widespread in the nearest future. If you are not satisfied with the controls of your portable device for some reason, you can use one of the compact Bluetooth keyboards. 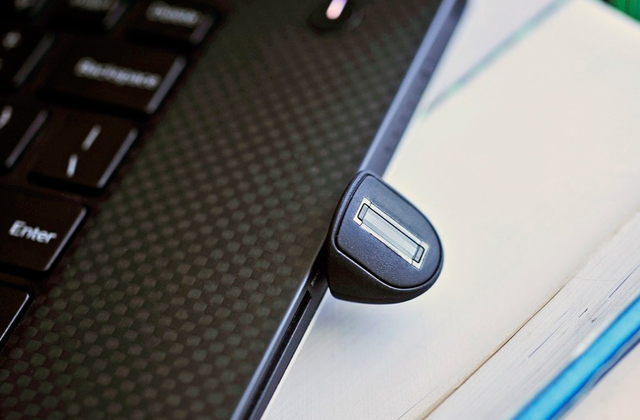 They are compatible with smartphones, tablets, laptops, desktops, and even video consoles. Such keyboards can serve as a substitute or extension of the device mechanical or touch keyboard. 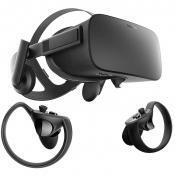 Best Virtual-Reality Headset on a Budget? Noon VR Review! 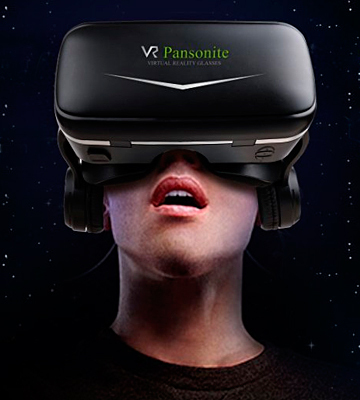 After three months of active R&D and analysis, Pansionite engineers managed not only to reduce the dimensions and weight of the Pansonite 3D VR Headset model but also to rework and improve its internal components. For achieving this goal, the engineering team had to solve many technical issues and overcome many difficulties. The newly developed ergonomic design and optimal weight distribution of this headset make you forget about wearing it in a few minutes after you put it on. This very affordable yet high-performance VR headphone easily pairs with mobile devices and offers a wide compatibility with smartphones of iPhone line (5/SE/6/6s/7/7 plus) as well as with Android-based (Samsung S5 to S7, S7 edge, Nexus 6P, etc.) and Windows-based phones equipped with screens ranging from 4.7 to 6.0 inches in size. At Pansonite engineers give as much importance to the quality of the sound as to the visual experience as they realize all these factors greatly contribute to the VR immersion. That is why the Pansonite007 3D comes equipped with the pair of earphones that provide a detailed sound in an impressive 5~28000Hz frequency range. The VR concept is all about the immersion, which can’t be achieved with great visuals alone. In this regard, the 007 model stands out from many competitors as it greatly improves the performance offered by conventional smartphone earphones widely used in the competing VR solutions. In addition, you can use the headset to answer calls, watch videos, and listen to music with all the needed controls positioned on the left of the device, which greatly improves the overall user experience with this model and makes it more multifunctional. Having figured out the causes of fatigue when using VR headsets the company decided to address these very issues on the design stage. The most of the Pansonite007 weight rests on the headband to unload the nose bridge and lower eyelids, which resulted in much-improved comfort for long headset use sessions. 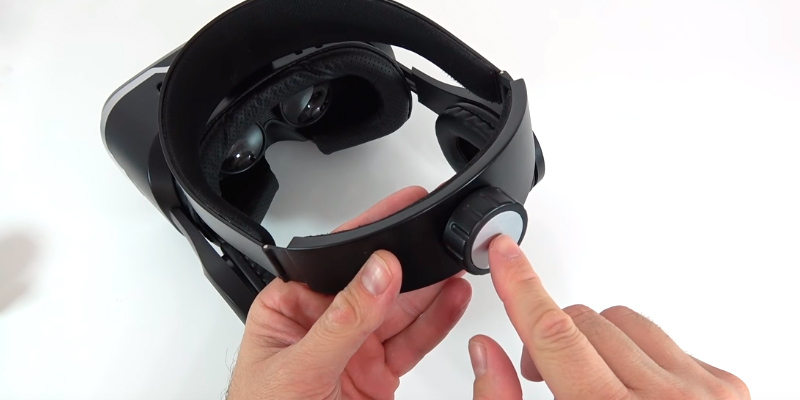 The system of flexible and adjustable headbands make this VR device suitable for people of different ages while the adjustability of pupil and focus distances makes if fit even for nearsighted people. With that, the use of high-quality materials, such as leather and thick elastic cushion, makes the contact with your face soft but still reliable. This quality leather material makes the facial contact areas “breathe” and prevents them from being fuggy. With this headset, nothing will disturb you from roaming the vast spaces of VR universe. Other VR devices on our shortlist are mid-priced or expensive. 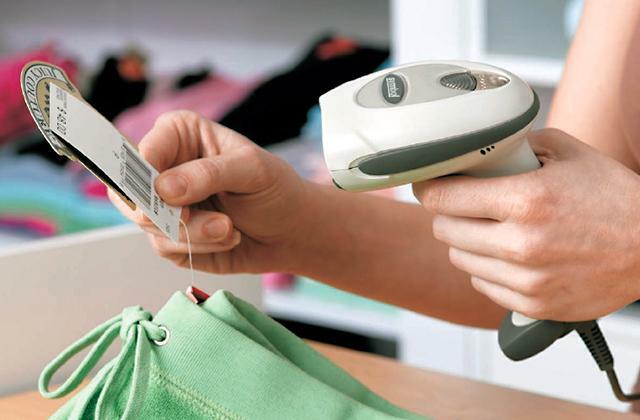 Certainly, they all are very high-tech and comfortable to use. But we could not resist trying the Tamo 3rd generation glasses. 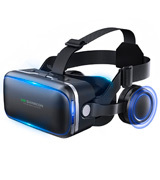 The source of video and audio stream is the smartphone display though the device features its own high-definition lenses offering you a fascinating 3D picture and fully immersing you into the virtual reality. You can get the in-depth experience of video games and various VR content, including photos, if you have this viewer. The picture is streamed for each eye separately. The audio stream uses the headphones of your smartphone. That is why we recommend using high-quality external earphones to add the surround sound to the sharp and vivid picture. Otherwise, you will not be able to fully enjoy all benefits proposed by the amazing world of virtual reality. 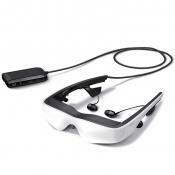 Another important feature of this headset is the built-in controller used for adjustment of the sharpness and reduction of the blurring to make the picture more natural. You can make the picture closer by turning the zoom wheel. We should also mention that you can adjust the focusing distance. However, we have to warn you that your smartphone should have the screen size of 4” – 6” to be compatible with this headset. 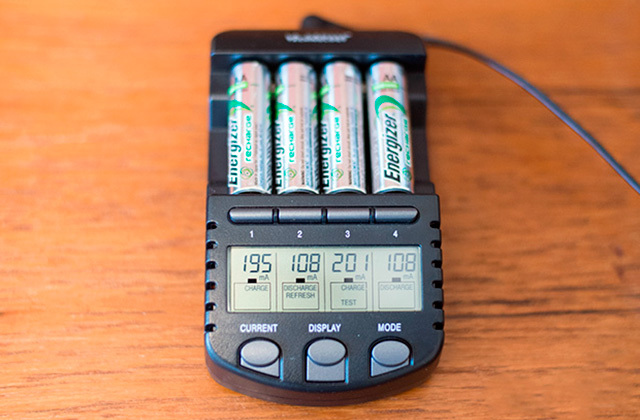 The device operates with Android, iOS, and Windows Phone smartphones. In general, it satisfies all demands of a user wishing to get acquainted with the virtual world at a reasonable price. The era of virtual reality is inevitably coming into our life. And it's important not only for entertainment but for other spheres as well. For example, virtual reality is useful for medicine. In April 2016, the first VR broadcasting of the surgery at the Royal London Hospital. 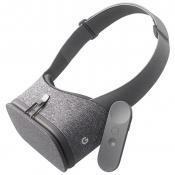 Any modern VR headset could be used (Oculus Rift, Gear VR, Google Cardboard, etc.) for actually seeing the whole surgery (performed by the famous surgeon Shafi Ahmed) from the beginning to the end. The 70-year-old patient suffered from colorectal cancer. The whole process was shot by several cameras located above the surgery table. After that, special software transformed the signal into the VR format. Surgeons believe these video lessons are extremely useful both for professional medics and other curious people who wish to get a personal impression of the surgery. 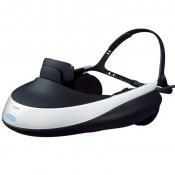 These bluetooth headsets are compatible with many modern smartphones and provide a convenient communication on the go. 3D technologies are no wonder today. An experienced user wants to fully immerse into movies or video games and get the real feeling of the virtual reality. These objectives have stimulated the leading electronic producers to the creation of special virtual reality headsets that provide users with new impressions, including the visual and audio effects making cyberspace real. 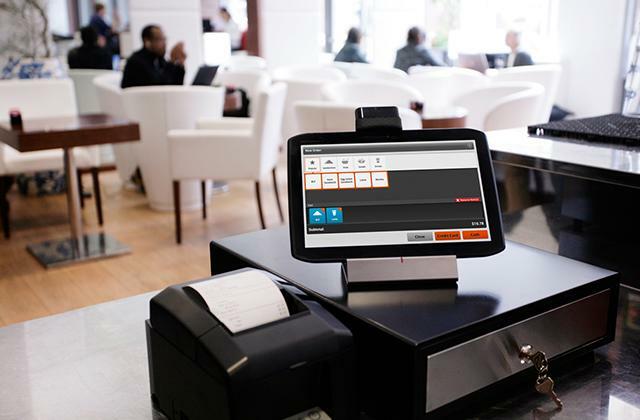 One of the major features of this equipment is its compatibility with game-boxes, smartphones, and PCs. The virtual reality headset creates the panorama around a user. Every eye sees an individual picture, which in combination with a high-quality surround sound, maximizes the effect of immersion into the virtual world. 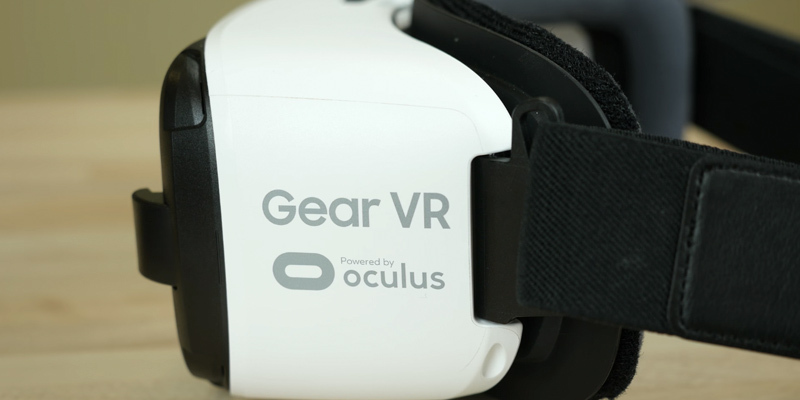 This review compares the best available models of virtual reality headsets. For the ultimate comfort and pleasure of playing video games, we recommend you to consider buying one of the premium gaming chairs. 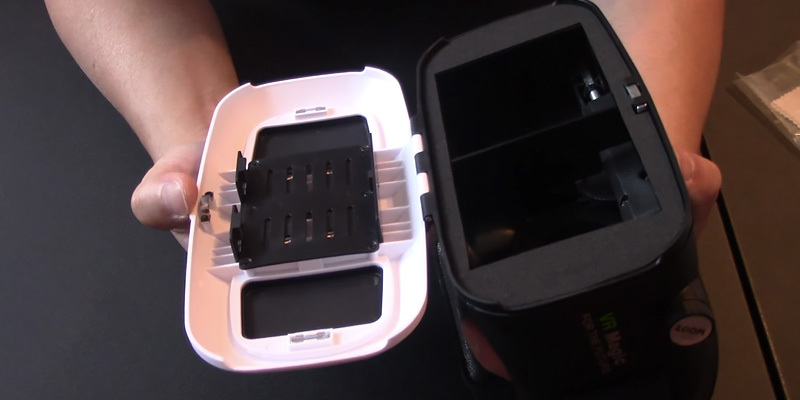 If you are going to buy a virtual reality viewer, the first thing to take care of is the Picture Quality. Modern headsets are either equipped with their own displays or use smartphone screens. The picture quality mostly depends on the resolution, i.e. the higher the resolution is, the better the picture a user sees. If a headset uses the phone display, the resolution will be the one supported by the smartphone. On the other hand, if you have a viewer with a built-in display, you should take the aspect ratio into account. It is recommended to choose a wide-screen display with the aspect ratio of 16:9 and HD resolution. These features define the refresh rate, which is really important for ensuring a smooth changing of frames in dynamic scenes. Another important parameter is the viewing angle or the field of view. The wider it is, the more objects you can see at the same time. After deciding on video parameters, you should consider the Audio Features and Extra Conveniences of every headset. The sound impacts the feeling of reality. You will probably agree that seeing an excellent picture accompanied by a poor sound doesn't give you a feeling of reality. Certain headsets have built-in audio systems, while others use the speakers of smartphones. 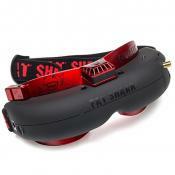 If the device has built-in speakers, they split the audio signal and create a stereo effect. To improve the audio quality, you can use extra earphones. Some headphones support the 5.1 surround sound providing you with impressive 3D audio effects. 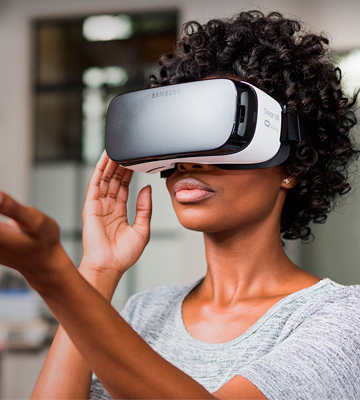 Additional conveniences of virtual reality viewers can include motion sensors such as accelerometer, gyroscope or proximity sensor. All these sensors make a VR gameplay truly realistic and fun. If your device uses a smartphone, you should find out whether your phone has the necessary sensors. It is also recommended to look at the controls that might include a sensor panel, built-in keys or buttons or external controller units. It should be mentioned that flagship models feature the adjustment of the focus distance, approximation, or sharpness; all of them improve the picture quality. The lenses on the most advanced models can be adjusted individually for people suffering from myopia or presbyopia. Usually, the headset is connected to the smartphone via a USB port or to a TV set or external monitor through the HDMI slot. Finally, we would like to clarify the meaning of such criteria as the Compatibility and Comfort. 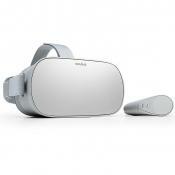 Planning to purchase the virtual reality headset with a smartphone as the source of signal, you should find out what screen size range is supported by the headset. 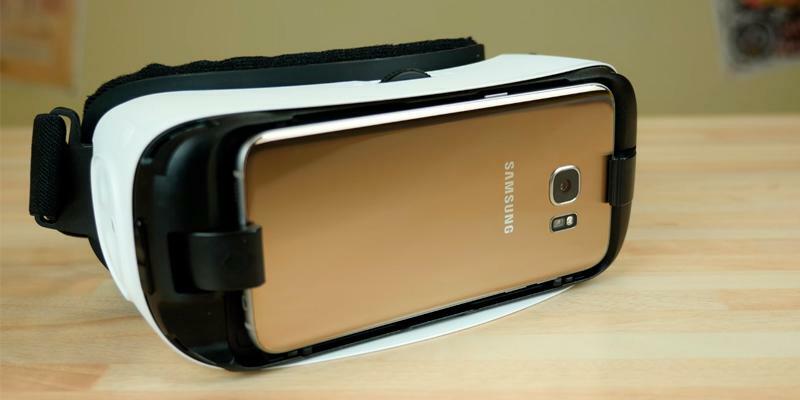 The majority of VR headsets are compatible with phones with the displays from 4'' to 6'' wide. If a headset needs to be connected to a personal computer, you should also be sure that it's compatible with PC's operating system and hardware. For the ultimate comfort, the design of virtual reality headsets allows adjusting them to almost all possible head sizes and shapes. Apart from physical positioning, the convenience also depends on the weight of a VR headset. 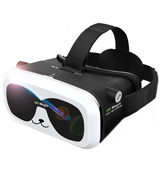 If you wish to enjoy the virtual reality for a long time without any harm to your health, you should use the lightweight models. 1. Virtual Reality Headset, Wikipedia. September 9, 2016. 2. 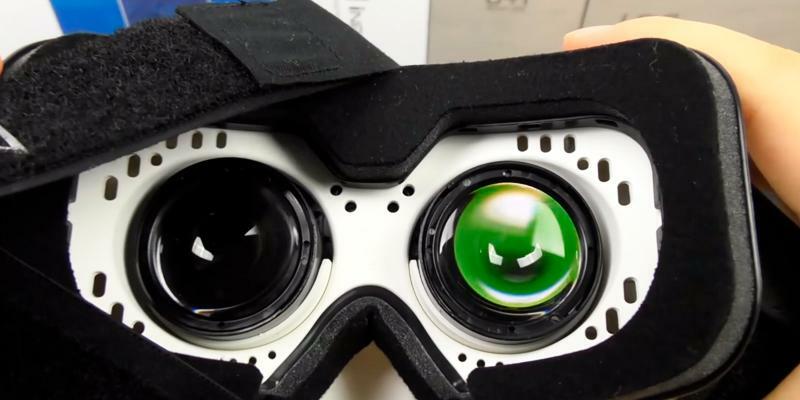 Sean Buckley NotCulus Rift: How I Hacked Together My Own Serious VR Headset, Gizmodo. March 2, 2015. 3. Sherri L. Smith VR Mega Guide, Tom's Guide. April 5, 2016. 4. 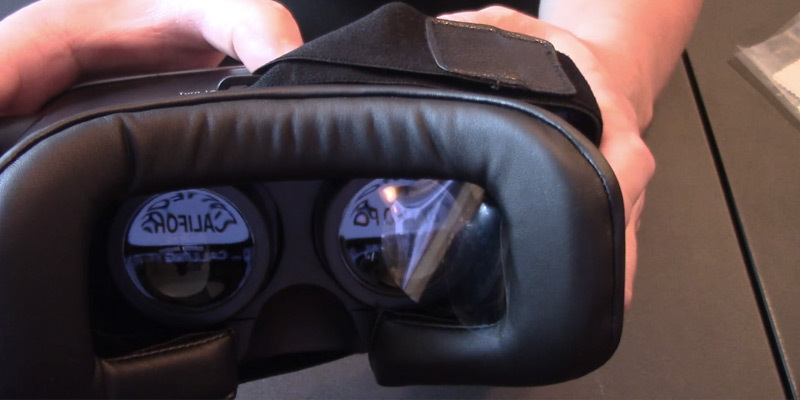 Jakie Dove VR Q&A: What You Need to Know About VR Headsets, Techwalla. 5. VR Headsets, Science Focus. 6. Adi Robertson The Ultimate VR Headset Buyer’s Guide, THE VERGE. 8. David Cardinal How to Buy the Right VR Headset: Our Complete Guide, Extreme Tech. April 25, 2016. 9. 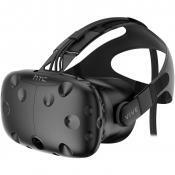 Lindsay Handmer Buyers Guide: VR Headsets, Lifehacker. June 17, 2016. 10. Lewis Painter The Complete Guide to VR: VR Headsets, VR Games, Apps & More - VR Explained, TechAdvisor. June 24, 2016.